Aaron Watson always makes for an interesting discussion point. Here’s a guy who is completely independent. He owns his own record label distributed through Thirty Tigers. Aside from some regional stuff in Texas, he’s not really on the radio, or at least not on mainstream corporate radio. At least not yet. And over the next week or so we’ll be watching closely because there is a chance he will beat out what is arguably the biggest country group going right now in Little Big Town to have the #1 record in country music. When Aaron Watson released his last record The Underdog in 2015, he became the first independently-signed solo male to ever have a #1. As far as independent country artists go, he’s in the very top echelon of the field, right there with Jason Isbell and Blackberry Smoke. But this is the thing with Arron Watson: He’s just kind of a rare bird. Usually independent artists also tend to have a bit of a tortured soul thing going on within them, while mainstream country artists are more even keeled and amiable. Aaron Watson is kind a mix of these two things. He writes all of his own songs, sometimes with the help of others, but usually relying on himself as the primary contributor. This is a very common practice for an independent-minded musician. But unlike a lot of these independent songwriters, Watson doesn’t live burdened by some dark, disturbed, or addiction-riddled or recovered perspective. It doesn’t mean Aaron hasn’t seen adversity, hardship, or heartbreak in his life, or that he hasn’t written material to that end. Go listen to his song “Bluebonnets” if you believe otherwise. But overall, he’s a balanced and happy family man with a healthy home life and a positive disposition. And this comes through in his songs. He wants to have a good time, and he wants his crowds to have a good time. That means he’s going to deliver a few lighthearted songs, whether you see him live or pick up his latest album. Some are even going to feel little cliché. And some, especially to independent country fans, are going to feel like sellout moments. It’s not because Aaron Watson is selling out, because frankly, that’s not even a possibility for an artist like him. Mainstream corporate radio is not going pick up his latest single no matter what it sounds like. Or if they do, what it sounds like will have no bearing on the song’s success, especially now that songs like William Michael Morgan’s “I Met A Girl,” or Tim McGraw’s “Humble and Kind” have hit #1. Either the mainstream will accept Aaron Watson, or they won’t. If catering certain songs to current trends is all it would take for Aaron to get on the radio, that would have happened for him three albums ago. Aaron Watson is writing these songs that independent country fans hold their nose for because he thinks they’re fun, and he thinks the crowd will feel the same. Aaron Watson is kind of a mainstream guy, who dresses mainstream and lives a mainstream lifestyle—who also happens to have this rabid independent streak when it comes to his music. He calls it the family business, and it is. No suit has a hand in his pocket, or in his music. Actually that doesn’t even represent the worst of Aaron Watson’s new album, Vaquero. At least “Outta Style” is driven by a fiddle, and though rabidly cliché in the lyricism—almost as if it was purposeful—it’s at least a little fun. “Outta Style” is a guilty pleasure if most listeners would truly level with you. “Run Wild Horses” on the other hand finds Watson trying his hand at the whole Metrosexual, R&B style country thing that’s all the rage, with the only saving grace being the extended guitar solo on the end, making the 5:30 song incompatible with radio, at least in album form. And that’s one reason you know Aaron is doing this because he wants to, and because he wants to serve the public what he thinks they want to hear, not because he has designs on radio superstardom. But like with every Aaron Watson album, you can either let your attention gravitate to the material that will anger your blood as a traditional country fan who’s heard about this independent artist shaking up the industry, or you can focus on the majority of the material that is much more in line with what you would hope an independent country hero would deliver. 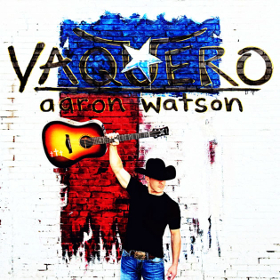 Generally speaking Vaquero is what you should expect from Aaron Watson now some 11 studio records into his career. There are some deep songs, there are some songwriter songs, there are songs that make you think, and some songs that allow you float away on a catchy rhythm and melody. In an ideal country world, Aaron Watson would represent the norm for mainstream country radio: sensible, accessible, smart at times, sentimental in others, but rarely or never making you feel stupid or alienated like much of country radio does today. Yet Vaquero does feel like a special project in a thematic sense. The underlying theme of Aaron’s last album The Underdog was about overcoming the natural advertises that beset those with an independent spirit, and rising up through that adversity your own way. And how brilliantly it was all capped off when the album went to #1. Vaquero is about a time and place, and whether Watson meant to stumble into a very relevant, poignant, and frankly in some respects, polarizing topic, that is what he did with this record’s cross border theme. In a rush to hunker down in predisposed political stances, which the current season has exacerbated to a fevered pitch not seen in recent history, we’ve forgotten how complex the whole issue of Mexicans in America is. Texas and Mexico are neighbors. They share a massive border, common geography and culture, and a shared narrative that predates the formation of the modern United States. If you’re a Caucasian living in Texas in 2017, you’re a minority. The culture and legacy of Texas and Mexico are interwoven. And this isn’t just a point to disprove how misguided some are who want to resist the pressures from south of the border, but also for those who incorrectly see the Lone Star State as some lily white ultra-conservative monoculture. In reality Texas is an incredibly diverse, and culturally-rich tapestry heavily influenced from its south since its inception that used to be a part of Mexico. And many, if not all of the great Texas songwriters over the years have not only identified this, but worked this into their music almost as a rite of passage. One of the reasons so many people have flowed over the Texas border in recent years is because big companies have enticed these low-income workers to come, and because bored Americans’ insatiable appetite for drugs has created a war zone of Mexico and South America for decades, causing a constant flow of refugees looking for peace and stability. Blood has flowed to get America high. Hundreds of thousands of families have paid the ultimate price. And so many have come seeking solace from many of the problems the United States has caused. Some are “bad dudes.” Others are good families fleeing war zones looking for safety. Aaron Watson identifies these issues, and the shared experience Texas and Mexico enjoy and endure in the song “Clear Isabel,” and indirectly in other songs like the title track, the instrumental “Mariano’s Dream,” and “Amen, Amigo.” There are many songs on Vaquero that don’t mention anything about the Mexican influence in Texas. After all, this album has sixteen songs, and those who complain that Aaron Watson should have spent more time purifying and honing his songwriting skills on a few less tracks than spreading himself a little thin have a valid point. But you also can’t make a purely Texas record while not acknowledging one of the biggest influences to the culture of the state. Aaron Watson isn’t preaching or getting political here. He’s just telling the story of Texas—all of it. This takes guts in itself in the current climate, because it’s easy to take any simple message and construe it into and extreme viewpoint. Yet where Watson’s true sentiment and perspective lies is in one of the best-written and sincere songs on the album, “They Don’t Make Em Like They Used To,” which talks about listening instead of shouting, respecting people from all different viewpoints, and how from country music to people who try to find the good in everyone, the best things in life are slowly falling away. This isn’t a concept record though. Vaquero has quite a few fun moments in it, especially at the beginning. Watson and producer Marshall Altman have a good ear of taking traditional instrumentation like a fiddle, and feeding it into more contemporary arrangements to give you sort of the best of both worlds. No, it’s not pure country, but it’s not complete pap like the radio blurts out either. 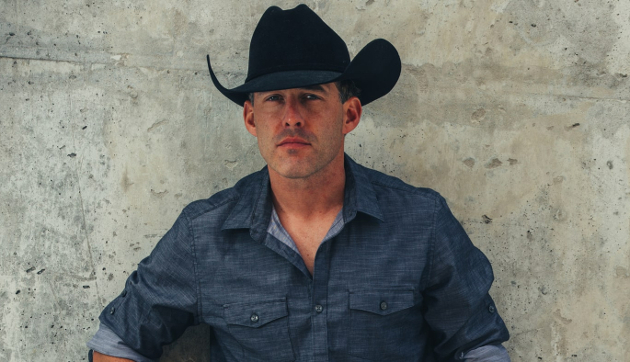 Though traditional country fans often get yoked with believing the contrary, country music must evolve, and artist like Aaron Watson and an album like Vaquero is one example of how it could without completely disconnecting from its roots. The song “These Boots Have Roots” is a pretty good example. Near the end is where some of the best material of Vaquero occurs. “The Arrow,” though an idea done many times before, is pretty deftly written. “Rolling Stone” is pretty smart in a traditional country kind of way too. And “Diamonds & Daughters” is pretty damn sweet, showing off Aaron’s sentimental side, and his eternal gratefulness for his life that shines through most everything he sings. Aaron Watson is an optimist, and a pragmatist. And though a swath of independent and traditional country fans tend to find themselves generally turned off by these things—only identifying with country music that breaks the heart—Aaron Watson is adhering to the very first rule of independent and traditional country: be authentic to yourself. Great writing, Trig. Spot on, too, I think. Second that Trigger …..that’s some fine stuff . Thanks for the review Trig. After a couple of listens, I’m extremely pleased and impressed with this album. “Clear Isabel” and it’s precursor, the instrumental track “Mariano’s Dream” are simply fantastic, heartbreaking, a bit of truth, and a bit of classic Borderlands/Texican/Western themes all wrapped up into one. The instrumental track establishes to tender spirit of the songs, while “Clear Isabel” offers glimpses into Texan identity and the reality of the intersection of cultures that occurs time and again in the Lone Star State. “They Don’t Make Em Like They Used To” is as close as I think we see of AW getting political, but not in a sense that really polarizes or divides anyone. After the last few albums, I’ve come to the conclusion that even when AW uses “bro-country cliches”, for the most part he applies them in a completely different way. Rather than making songs about a girl sitting on a tailgate, he spins these into songs about his excitement for life with his wife raising kids. So while the initial wording can seem cliche, the application seems fairly unique. I’m not really sure what to do with “Run Wild Horses”, but I’ll just chalk it up to AW saying ‘what the heck, lets try something different’, similar to “Rodeo Queen” from The Underdog. I think the thematic element in this album is stronger than in some of his previous ones, and for me that earns it extra points. Aaron Watson sounds like mainstream country back when mainstream country was good. I don’t think there’s enough of that these days. I’ve enjoyed his previous work, especially The Underdog, and will definitely check this one out. The title track “Vaquero” is the early standout to me on this project. For those interested in a song with a “Tex-Mex theme,” I also suggest checking out the song “South Texas Theory” by Matthew Lane from his album “Ranch Road 479” that came out a few months ago. Ought authenticity give subpar writing/music a pass? No, I don’t think it should, and I certainly didn’t give him a pass for what in my opinion is some subpar writing on this album. I’m also not going to let a few subpar songs cloud my judgement on the good ones either. Look, Aaron Watson is a complicated subject because he falls in between the lines we like to draw in music. The boundaries of Country Music are simple: It must apply to simple people and a simple way of life. Fake Country ignores these boundaries in an attempt to appease people who don’t care about a simple life. Country artists should have original styles and songs. However, if they try to evolve Country it will become something else entirely. Originality is what took us from Hank Williams Senior To Waylon Jennings. Evolution is what took us from Waylon Jennings to Florida Georgia Line. I like Aaron Watson, I don’t need all my music to be serious. One note since BB switched the country chart to total consumption rather than Album sales only, LBT will probably bow at #1 bc of track sales from “Better Man”. Ah, and apparently (according to Hits DD) LBT also has a ticket bundle. But still impressive Aaron is beating them on itunes, despite all the TV stuff LBT has done. For me , this description of an approach to making a record could apply to another Texan who did very well for himself , thank you , and that would be George Strait . His repertoire wasn’t without cliche , a bit of borderline silly and some inferior writing ( Love’s Gonna Make It Alright , I Just Wanna Dance With You ) but if that’s the cost of getting gems like ”Livin’ And Livin’ Well” , ”I Saw God Today” and ” By The Light Of A Burning Bridge ” and ” Ready For The End Of The World” its a price I’m willing to pay. Yes , it may be interpreted as an attempt to be all things to all people , but again , I’ll take that over a Keith Urban or a Sam Hunt whose mission is , seemingly , to be all things to teenaged girls 16 years and under . Hahaha….I love the musicians geek speak with a touch of sarcasm in your comments Albert. The idea that The Edges echo plex is being swapped around 9 recording studios to record the obligatory Bro sound is hilarious. And of course Les Pauls over say traditional country Telecaster twang. Good stuff….and at least partially true! Oh yeah, the topic…AW is AOK with me …. The thing about guys like Aaron, Cody Johnson, and Frank Foster, is that as much as you may like deep lyrics and artistry, sometimes you just want some good ole country music you can sing along to and have a beer. Aaron may never be considered the best independent country musician out there, but he is damn good at what he does. I’m a fan. I will say Outta Style is a guilty pleasure and it has gotten some airplay on my local independent station. They play a balance of new mainstream and the lessor known new songs, including some from the Texas circuit like Aaron. Not only do some of them get played, but are in a pretty heavy rotation (if the station even has a formalized rotation). Haven’t listened to the rest of the new record by from listening to his past music I can say I’ve yet to find one I didn’ t care for. The album isn’t by the fgl or Sam hunt. I support Aaron as long as he maintains his independence. If he crosses the line, he had better have nothing less than stellar material. I enjoy his more traditional songs. Haunted house is good, reminds me of 90s bro traditional with George Jones infusion. Had to comment on Texas, we are becoming more anf more progressive in the cities and that is slowly trickling down to the small towns and country. Harris county (Houston) just passed legislation (in a manner of speaking) that nearly decriminalizes possession of marijuana. Now you will not be charged a conviction, only cited to attend a class on drugs and responsible choices according to D.A. This is very historic, I am very proud. The rumor is this is influencing Dallas and San Antonio which will in turn influence the tx senate. I agree with your review/score. Like every other Aaron Watson album it has moments that are awesome, but also plenty of moments of “meh”. “Don’t Make Them Like They Used To” is probably my favorite song on the album. I’m sure LBT’s record company will make sure that their album gets the number one spot – with all the different outlets selling albums these days, it’s quite easy to cheat the numbers. Nashville can’t afford another indie album killing a major Major. I like Aaron Watson. I am hearing both him and Cody Johnson a lot on my local FM station. I like both their songs. I’m always happy to have new music from Aaron. I grew up and came to country music in the ’90s and he consistently puts out material that would have fit nicely among the best of that decade without ever feeling dated. I just kind of realized, I never hear the name Brian Burns on this website or on any of the threads. Was curious why. He is one hell of a songwriter and can’t be beat if you like that southwestern, Mexican influenced music. Got this yesterday. The good far outweighs the bad, in my opinion. Aaron Watson reminds me of George Strait and Alan Jackson. Not an outlaw, not trying to impersonate Waylon or Cash, just being himself – a country boy singing honest songs about life, love, Friday nights, Sunday morning, etc. And while every album might not be a masterpiece, you’ll never find a bad one. Like I’ve said here many a time alot of Texas country like Kevin fowler, most rrb and wade stuff etc. Is pretty poppy but still definitely country and in a perfect world is what pop country would be. And thats what this album sounds like to me. I definitely enjoyed it although not a world beater. Again trig thanks for a spot on review. Listened to the album. I think it comes down to if you like AW style of music. The album was a pretty easy listen for me straight through. I thought it might drag in spots with the number of songs on it, but it didn’t. He is a pretty talented and I liked the album quite a bit. I would’ve given it a lit bit higher of a score than the review.. I wish success for AW. Shouldn’t the music be evaluated on its own merits outside of the independent nature of the artist? Outta Style is a good song, but would come under fire on this site if it were released by a mainstream artist for being shallow. I don’t think “Outta Style” is a very good song. I gave it a negative review. ( https://www.savingcountrymusic.com/song-review-aaron-watsons-outta-style/ ) . I gave “Vaquero” negative marks because it was included. I don’t think it’s a terrible song, because unlike the radio singles similar to it, it’s driven by fiddle instead of rock guitar. But I’m not trying to gloss over anything here. Aaron Watson is a twist between an independent, traditional spirit, and mainstream sensibilities. I am evaluating the music on its merits. Overall I think it’s good, but Aaron Watson also deserves some criticism. He’s a complicated case study. Can’t believe his album is number 1 all genre right now!